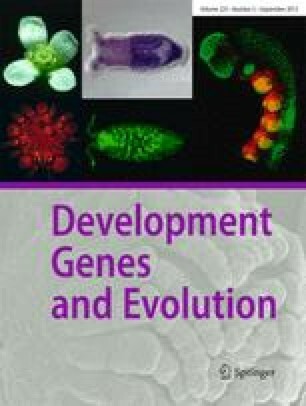 Embryonic stem (ES) cells from early vertebrate embryos only rarely retain their full developmental potential under in vitro culture conditions, but undergo differentiation and lose their ability for chimeric embryogenesis. This is reflected by the fact that the ES cell technology to date could only be fully developed in mice. In the fish Oryzias latipes, the medaka, one ES-like cell line, MES1, has been established which gives rise to a high frequency of somatic chimeras but a low degree of chimerism. Here we have tested the effect of donor genotype and cultivation time on the efficiency of cell culture derivation and on chimera formation. The HB12A, HB32C and HNI strains of medaka most efficiently and reproducibly give rise to blastula-derived cell cultures that produce pigmented chimeras in albino hosts. Seven chimeras grew to male or female adults with normal fertility, although none of them showed obvious donor germline contribution. During prolonged in vitro propagation the frequency of chimeras and the degree of chimerism dropped to a value retained in the long-term cultured MES1 cells. Obviously, genetic factors in host/donor compatibility and physiological changes during prolonged in vitro culture may compromise, but do not abolish, the developmental potential of medaka ES-like cells. Thus, elucidation of conditions that will expand the developmental potential of medaka blastula cell cultures should lead to a further improvement towards establishment of the ES cell technology in medaka.